Bill started his hockey career on the outdoor rinks in Chippawa. 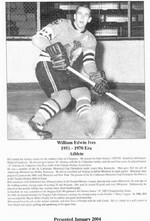 He played for John Sorley’s 1957/58 Stamford All-Ontario Midget Champions. He moved up to Junior"B" Hockey with the St. Catharines Anthes. The next four years, he played Junior "A" with the St. Catharines Tee Pees. He was a member of the St. Catharines Memorial Cup Champions under coach Max Kaminsky. Max gave Bill the job of shadowing Montreal star Bobby Rousseau. He did an excellent job helping to defeat Montreal in eight games. Rousseau later played 15 years in the NHL with Montreal and New York. The picture of the St. Catharines Memorial Cup Champion Tee Pee’s is in the Toronto Hockey Hall of Fame. 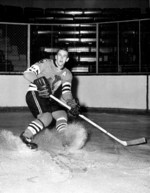 Bill turned pro with Johnstown Jets (Pennsylvania) in the Eastern Hockey League, playing nine years offensively; he was one of the leading scorers, having years of scoring respectively 35 and 40 goals. One year he scored 50 goals and over 100 points. Defensively, he played on the penalty killing line, scoring many short-handed goals. 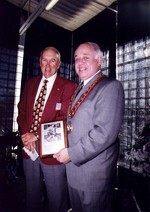 In baseball, he was a member of Niagara Falls Weightman’s All-Ontario Junior "A" 1962 Champions. In 1966, he played baseball for Niagara Falls Cataracts winning the championship in the Double 1 Muny League. In 1966, Bill was awarded the Mayor Miller Trophy for his ability and good sportsmanship. Bill retired from his job in the airlines industry, and now lives in Florida with his wife Linda. He is a starter at a golf course in Vero Beach and enjoys golfing and gardening in his spare time.